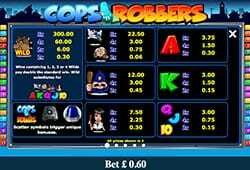 Cops and Robbers is a Fruit Machine online slots casino by Microgaming. They have taken the age-old battle between good and bad, added some fun and humour to the mix and developed this game. This 3 reels, 1 pay line Slots Games has a minimum bet of £0.10 and a maximum of £10. 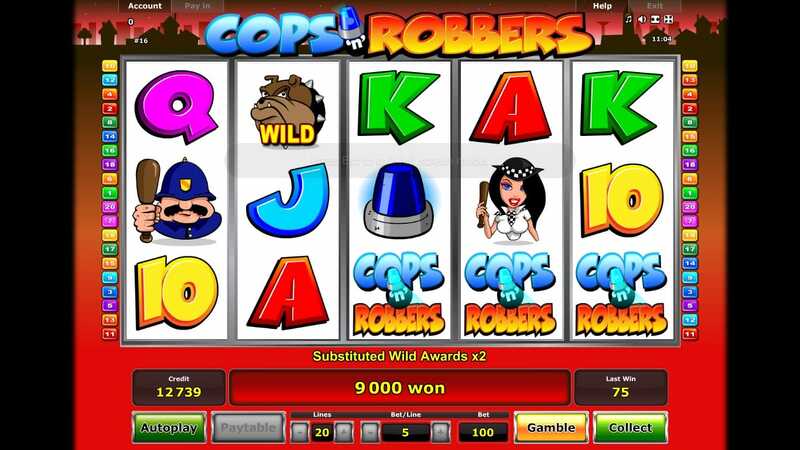 This online slots game Cops and Robbers is old school but certainly not traditional. It is packed with all sorts of bonuses and features but doesn’t expect any Wilds or Scatters. Instead, the slots game offers Nudges, Chaser Trail Bonus, Inside Jobs, and over a dozen more! If you love promo's, check SlotsBaby today. This feature happens at random and has the ability to hold the position of the symbols in one or more reels for the duration of the next spin. This feature on Cops and Robbers allows you to ‘nudge’ a reel in order to display the next symbol. You win the nudges randomly with a possibility of winning 4 maximum nudges per spin. Nudge Bank Feature: May you choose not to use the Nudges you’ve won, you can deposit them in the Nudge Bank and use them on your next spin. If you do not use them in the next spin, they will be forfeited. Nudge Gamble Feature:Here, you can gamble the nudges in your Nudge Bank to win more Nudges. If you are successful, you can win a total of 4 extra nudges. If no winning combination has been formed, this feature may get triggered at random. In this feature, 1 reel remains in place while the other 2 reel are nudged till a winning combination is formed. If 2 of the same symbols appear on the pay line and you do not have any nudges at your disposal, the Let’em Spin Feature may get activated randomly. 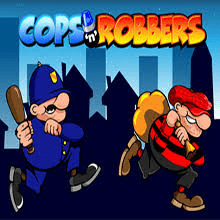 This is a bonus game where players take on the role of the Robber and attempt escaping the Police in a 36-squared trail. . If you get caught, the bonus game ends and you return to the base game. If you are successful, however, you can win up to a 200x multiplier on your stakes, along with other additional prizes on the trail (below). Bonus: Extra features are presented randomly, these include Extra Life, Boost, Taxi, etc.